My first encounter with fish and chips was in Front Street, Tynemouth. As a child I was sent there every Friday night to fetch the family’s three fish and two chips (salt, no vinegar) from Marshall’s Fish Restaurant. I think I still remember a long queue and some wornout black and white floor lino in the long takeaway corridor. There was a window through which you could see the privileged people in the eating-in part, with their white triangles of margarine-buttered Sunblest and cups of tea. I can’t actually recall the quality of the fish (a career in food criticism not being on the agenda back then) but I do remember being served by a prodigiously large woman with a short-sleeved blouse, giant flabby wings flapping as she folded up sheets of Evening Chronicle to envelope our meal. The smell of frying oil mixed with stale female sweat was a heady combination that probably affected me for life. I doubt that Marshall’s, which is now nothing like my childhood memory and I'm told is actually a very good chippy with lovely staff, would have put out the bunting for last month’s opening of Longsands Fish Kitchen, just up the street. It’s the brainchild of Simon Walsh, who was formerly head chef of Close House, until its owner made it a closed house last year. The restaurant is on the site of what used to be Roy’s Bakery, on the corner of Hotspur Street. There’s a take-out section, but the focus is on a small but cool restaurant, with brown leather banquettes and wooden tables, whitewashed walls and dark-grouted white tiles. There’s a tiny marble-topped bar and, compulsory in all cool restaurants these days, filament lightbulbs. It all makes sense, of course. 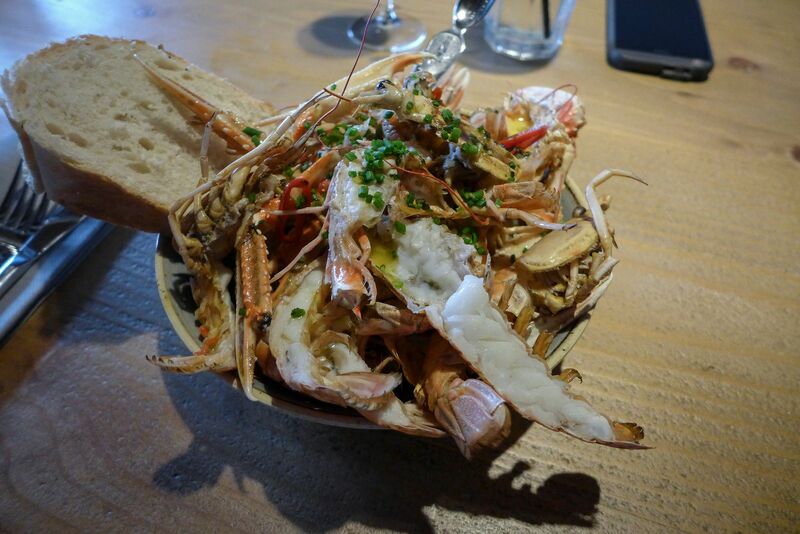 Fresh fish, landed within almost walking distance of the stoves and fryers, cooked simply, served with good wines in a nice light room – what could be nicer? For old time’s sake, we visited on a Friday night, took a friend to make three, and I made us walk past Marshall’s, which now has smart green doors and calls itself ‘The Fryery by the Priory’. In Longsands we found all the small tables occupied, so we were invited to join a communal bench in the middle of the room. “What do you make of communal tables?” I asked our friend, as we were forced to perform a limbo dance to sit down. A witheringly raised eyebrow was the reply. I instantly liked the ambition of the place. 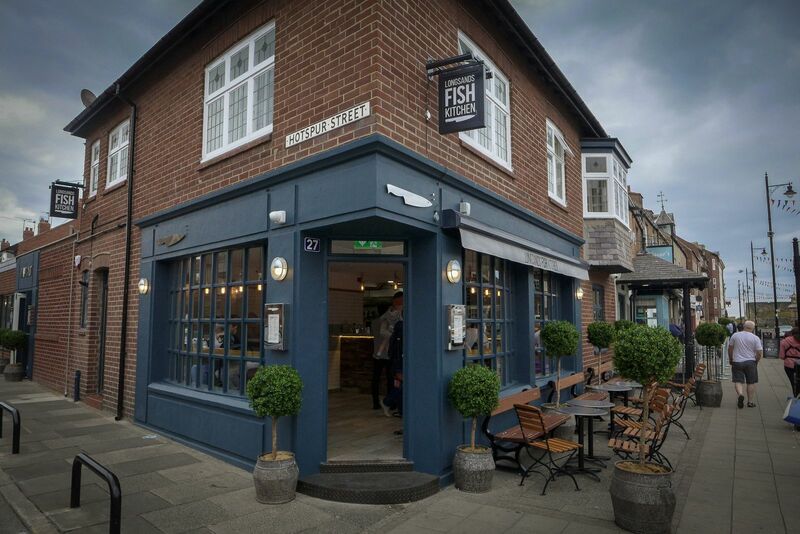 This could transform life in Tynemouth: open from 9am, it serves Craster kippers and smoked salmon eggs Royale for breakfast, and it has an upmarket fish and chip takeaway menu, where tiger prawns with chilli jam share billing with Whitby scampi, and the haddock still has its skin on. I was relieved to see that chip stotties make it onto the list. Simon Walsh says he wants Longsands to be the kind of place where you can pop in for a glass of wine. If so, I suggest he expands the list beyond three reds and three whites. 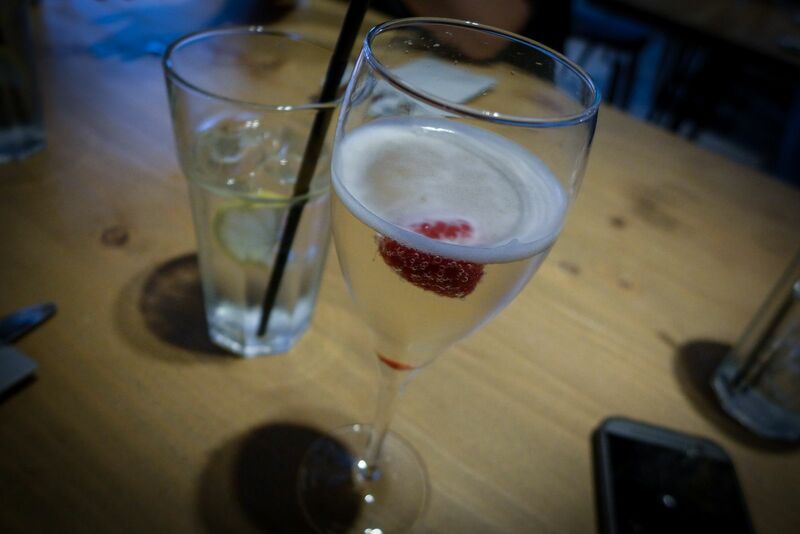 We ordered Prosecco. I’m very glad we went early, for it closes at 8pm. Dinner hasn’t reached Tynemouth, then. But it has everything else: a full bar, with The Lakes gin from Cumbria and, joy, Lindisfarne oysters. 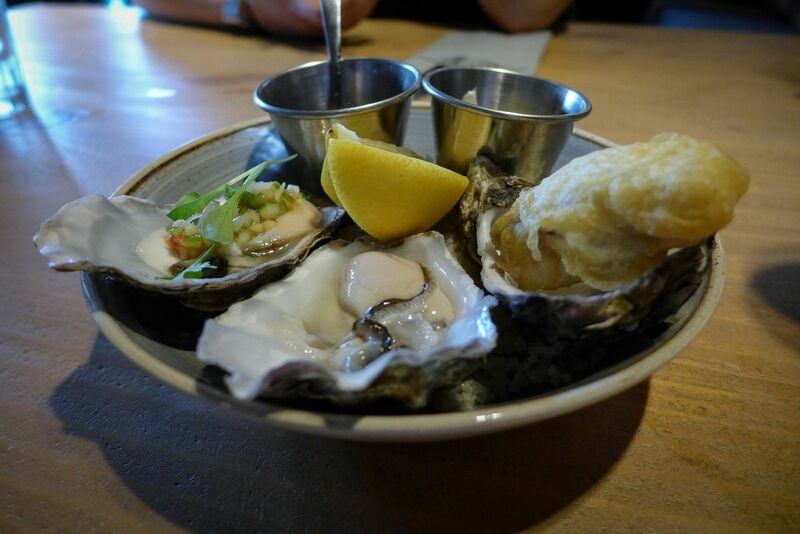 These were fresh, plumptious specimens, and Longsands offers them three ways, so naturally we tried them all. There was classic mignonette, the traditional red wine vinegar and shallot sauce, and we also had one “hot and crispy” in a light tempura batter; finally, there was a well-judged chilli and cucumber dressing, which was refreshing, and didn’t overpower the ozone slap of the oyster. However, the first hint that not everything might be perfect came with my langoustines starter. I was surprised, and just a little suspicious, when so many arrived for £7.50. Then I tasted them: the tail flesh carried little flavour, and bore the texture of cotton wool. Tellingly, the gut tract was still present. The result was an unpleasantly gritty eating experience. I mentioned the gut issue to our waitress, who seemed concerned, but we didn’t hear of it again. 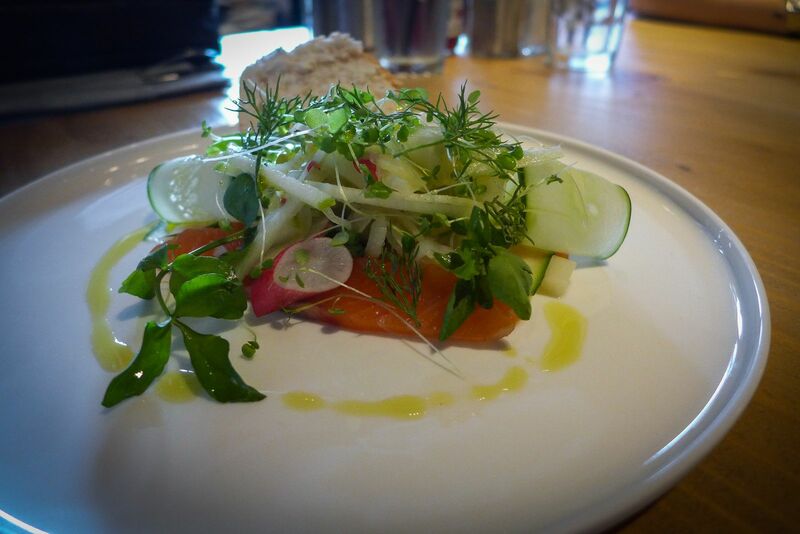 Mrs Diner’s starter of brandy-cured salmon put us back on track. We struggled to detect much boozy influence, but the cure rendered the fish firm, its richness offset by a refreshing tangle of fennel, apple and cucumber. The wheel of fortune turned 180 degrees again with our main courses. 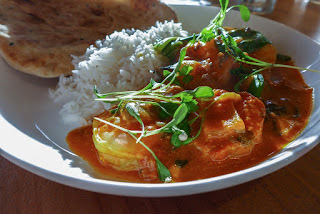 Mrs Diner’s monkfish and king prawn curry provided lots of fish but a dull, one-dimensional sauce, lacking any depth or complexity. Rice was equally boring, and the flatbread tasted bought-in. 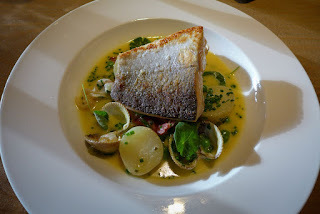 My chalkboard special of wild sea trout with cockles was far better. The beurre blanc sauce would have made a French trawlerman swoon – this was Walsh’s fine-dining background shining through. The cockles were tender, but still with bite, while tiny strips of crisped ham, shaved chives and the odd nasturtium leaf all maintained interest. Ironically, the only disappointing thing about the dish was the fish, which was overcooked. 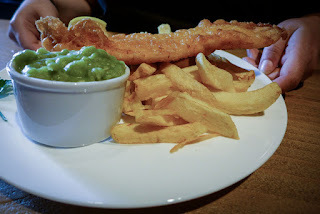 Our friend, a creature of simple habit, went for traditional cod and chips. Although skinny, it was well cooked, with crisp batter and good chips. I used the last of these to clean my plate of that beurre blanc. Chips and beurre blanc – now that would make an excellent takeaway. We ordered two desserts, and both hit the sweet spot. 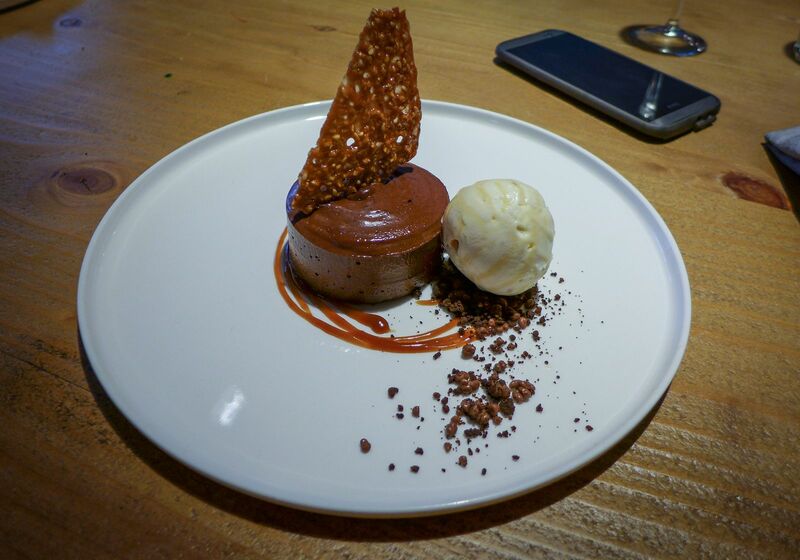 Chocolate delice was delightful – dark and yielding, with Doddington’s sensationally good banana ice cream. 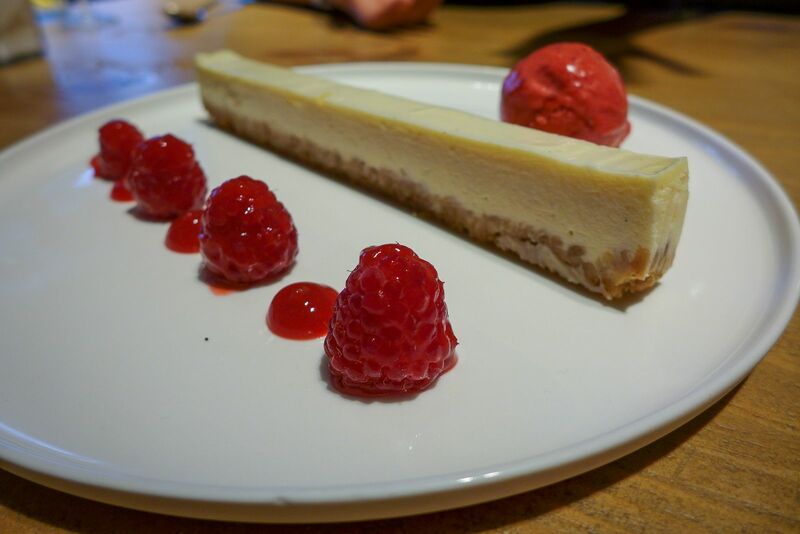 Similarly brilliant was the raspberry sorbet which accompanied a slice of custardy, if slightly over-set, vanilla cheesecake. Service was friendly and keen – everyone seemed to know the menu well. 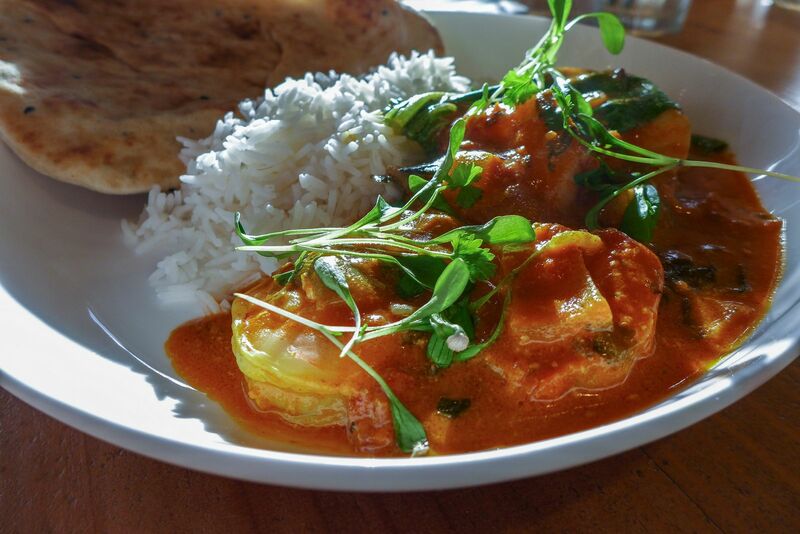 Starters and puds are around £6, with mains at £13. Cod and chips is £7 if you must. If we hadn’t tried the langoustine or curry I might be showering superlatives on Longsands. Sadly for them we did, and both were clangers. However, it’s early days, and I get the sense that there’s the heart of an excellent restaurant here, so I’m giving it the benefit of the doubt. Three stars puts it in the Recommended class. And that doesn’t happen very often in Tynemouth. Sadly it appears they have read your review and changed their fish curry. I had the fish curry last week. The fish was beautifully cooked, however, the sauce was disgusting. It was overpowered with cardamom and mustard seeds, so much so I couldn't taste anything else. Two of our party of five thoroughly enjoyed the curry yesterday. The whole place sees a thumbs up from us. but it could do with a wider range of mains on the specials board, (only one choice).